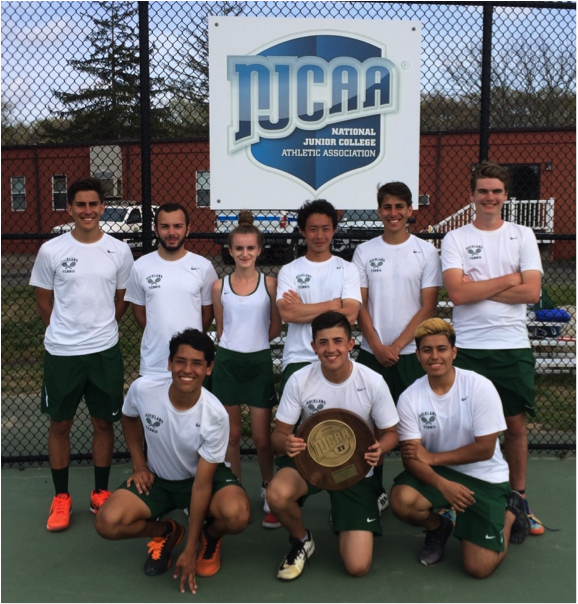 The Rockland Community College Hawks won the men’s tennis Region XV championship for the second year in a row. RCC beat Nassau Community College in the finals to earn the spot to NJCAA Division III Nationals in Plano, Texas. RCC swept the doubles competition to give them an early 3-0 lead. It was not easy for them though. Each doubles match lasted over 3 ½ hours. “It took a lot of endurance,” said team captain, Macgregor Graham. “You’ve got to be in the right mental state.” Graham is a graduate of Nyack High School. This is the first time that RCC has won back-to-back Region XV championships since 1975-76. The feat is even more impressive considering the Hawks did not return any player from last year.